15. B. Chen*, X. W. Fu, M. Lysevych, H. H. Tan, C. Jagadish. Four-dimensional probing of phase-reaction dynamics in Au/GaAs nanowires. Nano Letters 19, 781-786 (2019). 14. X. W. Fu*, S. D. Pollard, B. Chen, B. K. Yoo, H. Yang, Y. Zhu*. Optical manipulation of magnetic vortices visualized in situ by Lorentz electron microscopy. Science Advances 4, eaat3077 (2018). 1 13. 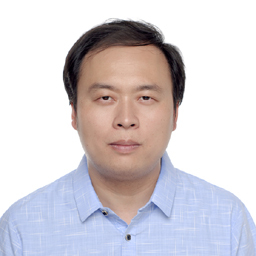 X. W. Fu, B. Chen, J. Tang, M. Th. Hassan, A. H. Zewail. 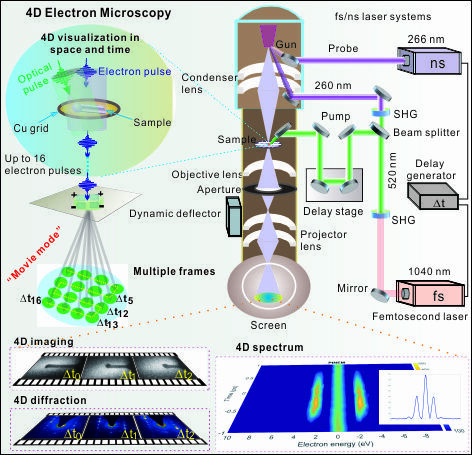 Imaging rotational dynamics of nanoparticles in liquid by 4D electron microscopy. Science 355, 494-498 (2017). 2 12. B. Chen, X. W. Fu, J. Tang, M. Lysevych, H. H. Tan, C. Jagadish, A. H. Zewail. Dynamics and control of gold-encapped gallium arsenide nanowires imaged by 4D electron microscopy. PNAS 114, 12876-12881 (2017). 3 11. X. W. Fu, B. Chen, J. Tang, A. H. Zewail. Photoinduced nanobuble-driven superfast diffusion of nanoparticles imaged by 4D electron microscopy. Science Advances 3, e1701160 (2017). 4 10. B. Chen, J. Wang, Q. Gao, Y. J. Chen, X. Z. Liao, C. S. Lu, H. H. Tan, Y. W. Mai, J. Zou, S. P. Ringer, H. J. Gao, C. Jagadish. Strengthening brittle semiconductor nanowires through stacking faults: Insights from in situ mechanical testing. Nano Letters 13, 4369-4373 (2013). 5 9. B. Chen, Q. Gao, Y. B. Wang, X. Z. Liao, Y. W. Mai, H. H. Tan, J. Zou, S. P. Ringer, C. Jagadish. Anelastic behavior in GaAs semiconductor nanowires. Nano Letters 13, 3169-3172 (2013). 6 8. B. Chen, Q. Gao, L. Chang, Y. B. Wang, Z. B. Chen, X. Z. Liao, H. H. Tan, J. Zou, S. P. Ringer, C. Jagadish. Attraction of semiconductor nanowires: An in situ observation. Acta Materialia 61, 7166-7172 (2013). 7 7. B. Chen, J. Wang, Y. W. Zhu, X. Z. Liao, C. S. Lu, Y. W. Mai, S. P. Ringer, F. J. Ke, Y. G. Shen. Deformation-induced phase transformation in 4H-SiC nanopillars. Acta Materialia 80, 392-399 (2014). 8 6. B. Chen, H. Matsuhata, T. Sekiguchi, K. Ichinoseki, H. Okumura. Surface defects and accompanying imperfections in 4H-SiC: Optical, structural and electrical characterization. Acta Materialia 60, 51-58 (2012). 9 5. B. Chen, T. Sekiguchi, T. Ohyanagi, H. Matsuhata, A. Kinoshita, H. Okumura. Evidence for a general mechanism modulating carrier lifetime in SiC. Physical Review B 81, 233203 (2010). 10 4. B. Chen, J. Chen, Y. Z. Yao, T. Sekiguchi, H. Matsuhata, H. Okumura. In situ monitoring of stacking fault formation and its carrier lifetime mediation in p-type 4H-SiC. Applied Physics Letters 105, 042104 (2014). 11 3. B. Chen, H. Matsuhata, T. Sekiguchi, A. Kinoshita, K. Ichinoseki, H. Okumura. Tuning minority-carrier lifetime through stacking fault defects: The case of polytypic SiC. Applied Physics Letters 100, 132108 (2012). 12 2. B. Chen, H. Matsuhata, T. Sekiguchi, T. Ohyanagi, A. Kinoshita, H. Okumura. Pinning of recombination-enhanced dislocation motion in 4H-SiC: Role of Cu and EH1 complex. Applied Physics Letters 96, 212110 (2010). 13 1. B. Chen, J. Chen, T. Sekiguchi, T. Ohyanagi, H. Matsuhata, A. Kinoshita, H. Okumura, F. Fabbri. Electron-beam-induced current study of stacking faults and partial dislocations in 4H-SiC Schottky diode. Applied Physics Letters 93, 033514 (2008).